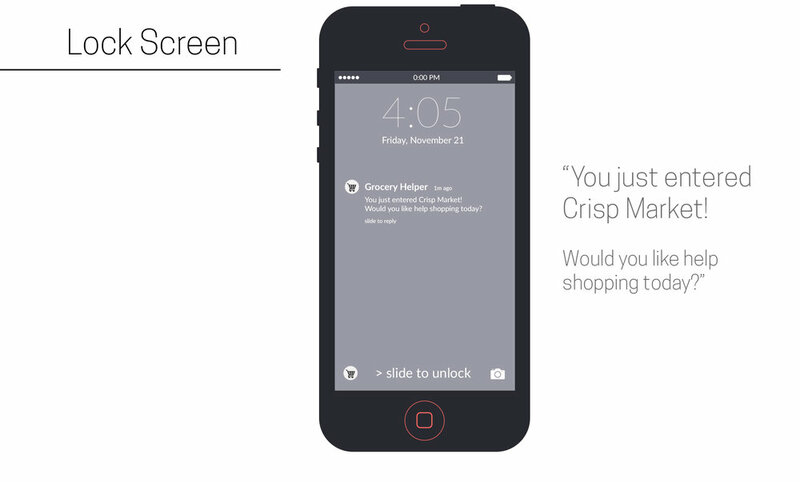 I designed the UX for a concept app that Outerwall presented at CES 2015 to showcase how technology could impact the future of retail. This app uses Beacon technology to pinpoint the customer's location inside a grocery store and serve up relevant recommendations as they peruse the aisles. See below for the wireframes I created, which ultimately were sent to visual design and then development for launch. © 2018 Tine Wahl. All Rights Reserved.